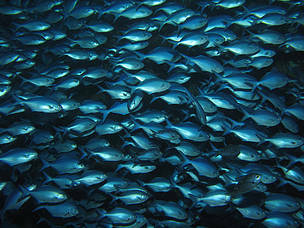 Immersed in a swirling vortex of Blue maomao and Demoiselle fishes in the Poor Knights Islands Marine Reserve. 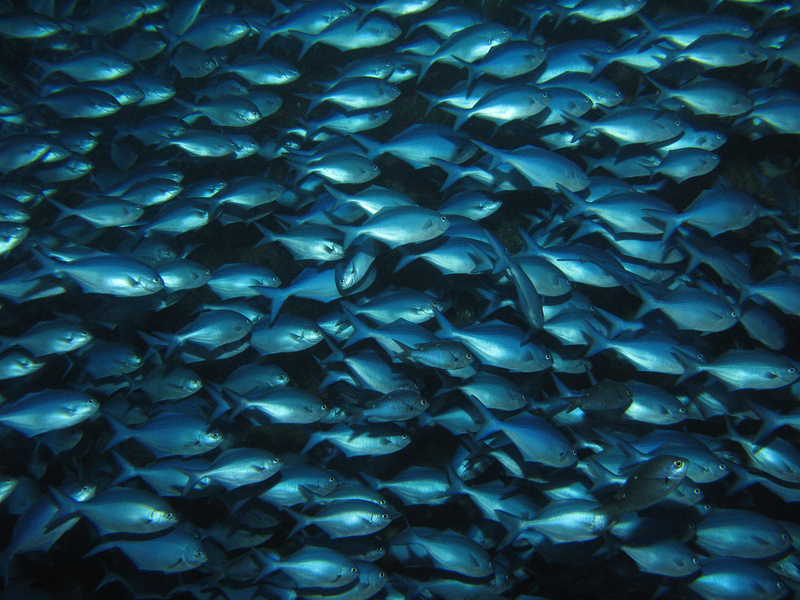 Established to protect the surrounding ocean and its marine life, the fish have flourished in the protection of the marine reserve. Diving the Poor Knights Islands is a magical experience - a true celebration of the exquisite beauty of the ocean. Today, the Government released New Zealand's Sixth National Report to the United Nations Convention on Biological Diversity. They committed to being more transparent about the way our country categorises marine protected areas compared to previous reports. WWF-New Zealand believes this is a great first step and we commend the Government for acknowledging that only 0.4 percent of New Zealand's marine and coastal areas are truly protected inside existing Marine Protected Areas (MPAs). It is our hope this recognition will help us, as a nation, take further steps to ensure we have healthy and resilient oceans for future generations. International best practice recommends safe-guarding at least 30 percent of each marine habitat inside a network of MPAs. Currently, 30 percent of our ocean is under fisheries management protection, but WWF-New Zealand believes we should follow the international guidelines and move to MPAs. New Zealand has a vast Exclusive Economic Zone (EEZ), with an abundance of rich diversity. Following these guidelines should help us to conserve this biodiversity while, at the same time, create sustainable fisheries and resilience to climate change impacts. Now that our Government has recognised we only have 0.4 percent of our important habitats fully protected, it is critical to implement the Rangitāhua/Kermadec Ocean Sanctuary. Establishing this sanctuary would leap frog New Zealand from 0.4 percent to 15 percent protection overnight. In addition, we would urge the Government to proceed with much needed reform to New Zealand's MPA policy, which was consulted on in 2016. Strong policy in this area will help guide us towards establishing an effective network of MPAs, and thus protecting and conserving our valuable marine resources for future generations. We look forward to working towards this shared ambition with the Government. -- Livia Esterhazy, CEO of WWF-New Zealand. Livia Esterhazy is available for interviews and/or comment. Please contact Media Manager Caroline Bruner at 021-550-710 to make requests.